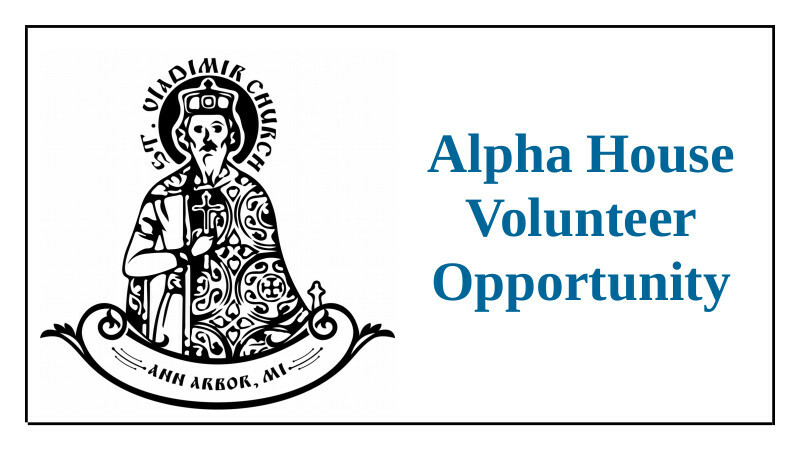 Volunteer at Alpha House this Year! Alpha House is the shelter in Washtenaw County for homeless families. And it is not far from St. Vladimir’s! We volunteer at Alpha House regularly – providing brunch to the residents there – and this is a great opportunity to help others in need – to live the Matthew 25 instructions of our Lord in a real way. Please contact out Alpha House Volunteer Coordinator, Addie Lanterman, at 231-690-3194 or addielanterman@gmail.com with questions or to volunteer. Learn more about Alpha House volunteering at the links below.